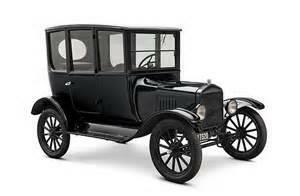 Henry Ford created the Ford Motor Company in 1905. It would soon become the world’s largest and most profitable manufacturing enterprise. In its first 15 years the company accumulated cash reserves of a billion dollars or so, and led the industry not only in the U.S. but in every important market around the world. By 1927, however, the company was a wreck. For the next 20 years, it lost money nearly every year. Peter Drucker, who will probably always be regarded as the foremost authority on management, often observed that the Ford saga had been told so many times it had passed into folklore. But it has never been told to government. It is a story, in Drucker’s words, of “a controlled experiment in mismanagement.” It is every bit as relevant to government today as it ever was to the private sector. Henry Ford did not believe in management. It was his company, and he reserved for himself the right to make all decisions. Henry Ford’s employees were strictly forbidden from exercising initiative. They were Henry Ford’s “helpers” and no more. Drucker cites the company Siemens, under Werner von Siemens, and Mitsubishi, under Yataro Iwasaki, as additional examples of what happens in organizations where only helpers are allowed. These three experiments in mismanagement produced the same unhappy results. Finally, in 1944, Henry Ford’s grandson, Henry Ford II, engineered a palace coup and removed his grandfather and his grandfather’s cronies from the company. Henry Ford II thereupon installed professional management and turned the company around. At General Motors, Alfred P. Sloan, Jr. had long since installed management, so Ford had much catching up to do. The lesson was clear and has remained clear ever since. Professional management is indispensable to organizational success. The practice of management is rooted in its own tasks and functions, which are inherent in institutions themselves. Management’s tasks and responsibilities exist independent and separate from the instructions of the top bosses. Wise directions from bosses are insufficient, by themselves, to obtain organizational success. Capable management is an essential ingredient in the production of organizational outcomes. Before we consider what these lessons might mean for government, let’s change focus and consider the historical evolution of governmental institutions in our country. The first form, which commenced in the aftermath of the Revolutionary War, was pure patronage. Every job was held by family members, political supporters and friends of appointing office holders. When new officeholders came into office, they replaced 100 percent of the workforce with their family members, political supporters and friends. The second form was modified patronage. It came about when there weren’t enough family, friends and supporters to fill all the jobs. The second form required that jobholders pay a portion of their earnings to the political authorities who had appointed them. (This was the first publically-financed campaign model!) As was the case in the first form, there was still 100 percent employee turnover when new officeholders assumed office. Over the course of the 19th century, it became increasingly difficult to replace 100 percent of the employees of government agencies when political offices changed hands. Something had to be done. Virtually no politician wanted to give up the right to reward supporters with jobs, but neither did they want the mail to stop being delivered while new employees tried to figure out how to deliver it! Elected officials were in a dilemma. They solved it by creating a politically neutral workforce that would remain in place when new politicians took office. This became the civil service system. It was a tough pill for politicians to swallow, because it deeply scaled back the prerogative to offer jobs to supporters. However, civil service government proved to be honest and effective, and won the day. Consider what civil service government did and did not accomplish. It did create a strong professional core in the institutions of government. A highly professional center has been the greatest strength of government institutions ever since. (The civil service model has in large measure been replaced by a partisan labor union model, but that is a subject for another day.) However, civil service government did not contemplate management. Seventy years after Henry Ford’s holdout against management came to an end, government’s holdout continues. Government’s “experiment in mismanagement” is slightly different from Henry Ford’s, in that it has long been obvious that elected officials cannot personally manage the vast institutions for which they are responsible. For this reason, elected officials were obliged to create the appearance of management —pretend management, if you will — whereas Henry Ford had no such need. Government’s pretend management has two ingredients. The first is the universe of political appointees, at all levels of government, who serve as elected officials’ “helpers.” The second ingredient is a vast universe of statutes, rules and regulations. In combination, these two ingredients emulate Henry Ford, ensuring that government’s career employees, from the highest to the lowest levels, exercise no initiative — just like Henry Ford’s employees. That pretend management doesn’t work has been known for a long time. In 1948, President Harry Truman’s Hoover Commission described the “executive chaos” of the federal government in exquisite detail, and hundreds of subsequent studies have depicted how that chaos has grown. Every state government has its own version of the same, and so do thousands of other public agencies. Unfortunately, there is no Henry Ford II on the horizon to come to the rescue! We will have to rescue ourselves.